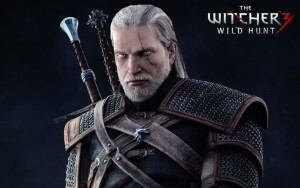 For those of you who aren’t familliar with Geralt of Rivia, he is the main protagonist in a franchise of games called the Witcher (based on a series of books by Polish author Andrzej Sapkowski). Unfortunately the translations of which vary dramatically in quality so I currently haven’t read them to save any disappointment. In the world created by Andrzej Sapkowski. Witchers are a group who for one reason or another (usually orphans taken in as children) have undergone training and eventually mutated to become something all together less human, to become professional monster hunters. He was the son of a sorceress who was taken to the Witchers keep of Kaer Morhen when he was born. He was trained by his fellow Witchers from birth and survived several mutations during his trail of the grasses (many of those that undertaken the trial died) causing him to become no longer human. Due to how well his body adapted to his trials, he was then chosen to undergo further experimentation of which he was the only survivor. The most obvious side effect of which his hair turned white. Needless to say the final chapter in Geralt of Rivia’s story got off to a flying start as you are plunged into a morally ambiguous world torn apart by the war between the Nilfgaardian empire and the northern realms. One of the big things I love about the entire franchise is that there isn’t “good” and “evil” per say but the moral ambiguity around the choices you make and how it goes on to affect the world around you. Just because someone appears to be good doesn’t always mean the decisions they make are right and vice versa. There have already been a couple of instances so far in the Witcher 3 where I have undertaken a contract from what appears to be a victim only to find out that they were actually a bandit. 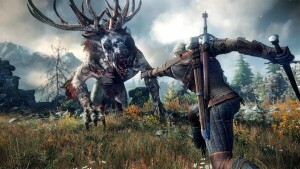 The world has a wide array of inhabitants to meet, monsters to kill and places to explore to keep Geralt of Rivia occupied on his travels as a professional monster hunter. By their very nature Witchers often find work where death and destruction are at it’s worst with an array of monsters from ghouls, drowners and other necrophages feeding on the dead (and soon to be dead) to massive creatures such as trolls and griffins causing damage and strife to the local populace. All of this helps add to the atmosphere of this cruel imagining of the world. CD Project Red have done an excellent job of creating an extremely large open world for the player to explore which is rife with violence corruption and injustice making a point of not shying away from potentially sensitive subjects such as racism and discrimination. Very early on in the game a man asks for help finding his brother who is a soldier whom with his army attempted to repel the invading forces. It transpires that there two soldiers from opposite sides were both wounded in battle as their armies clashed. You find them away from the fields, both of which are only alive because they helped one another and you are presented with a choice to either abandon the Nilfgaardian soldier and leave him for dead or convince his brother to take him in even though their homes were destroyed because of the Nilfgaardian army. Another instance that has always stuck out is in the previous game. You arrive in a port town in which there is a very obvious divide between the humans and non-humans (elves, dwarves etc), in which the non-humans were treated very much as lower class citizens even by comparisson to the poorest humans and are often blamed for any issues arrived in the town. The head of the towns garrison was charged of keeping order within the town but is typically very corrupt and has a distaste for non-humans. You eventually meet Iorveth, an elven man whom leads a military group (called the scoia’tael) of non-humans who live in the forest and often kill humans who venture too far within the forest and as it comes to a head you can either side with the humans in town or with the scoia’tael in the forest. This is one of the main points where the story branches dramatically depending on the decisions you make. On first appearences, it looks like the Witcher 3 plans to take this even further.